After you’ve finished filming, the next step of course is taking all your footage and putting it together. There are so many options out there when it comes to video editing software. We thought we would help break down some of the most popular ones. 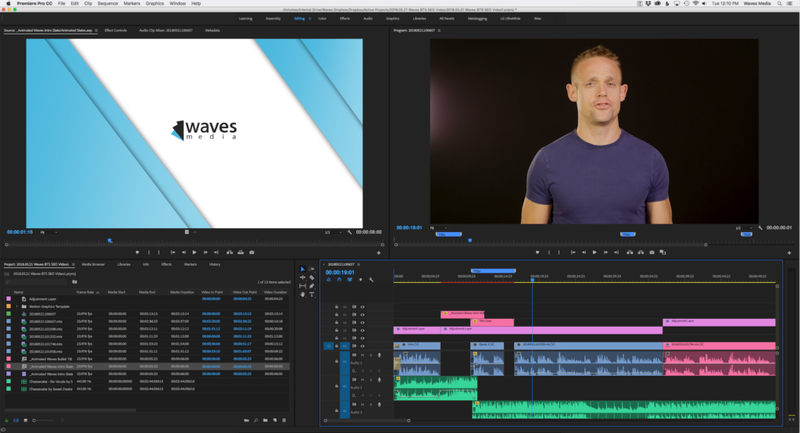 Here at Waves Media we are big time Adobe users, but there are tons of other software options out there that can help you create your videos too. These range from professional grade all the way to entry level tools to get you started. Here is what we think of them. 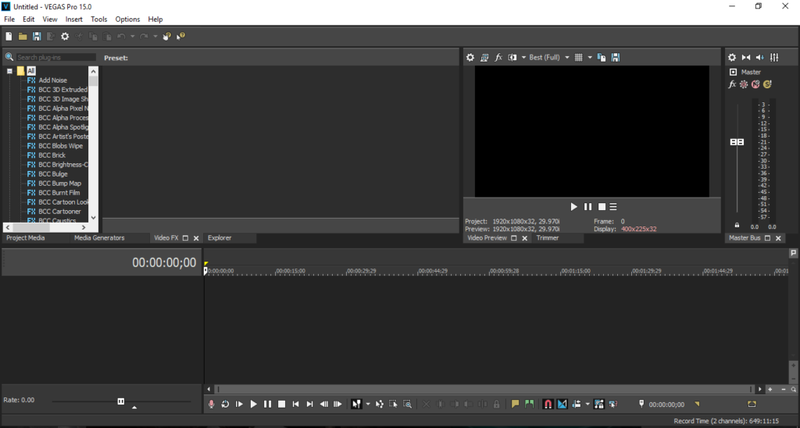 Adobe Premiere Pro is what we use for all of our productions. It has become one of the most ubiquitous non-linear video editing softwares out there, and its easy to see why. It has tons of options for customization and an easy to navigate interface. The integration with other Adobe Apps like Photoshop and After Effects also make a monthly subscription to the entire suite an absolute must have. Apple’s own entry into the video editing space, Final Cut Pro X, has an alternative to the multitrack system found in other softwares. Unlike other softwares it uses a magnetic timeline where clips are connected to each other instead of operating independently. Along with its sleek interface and general ease of use, Final Cut is a relatively small one time payment program. This makes it attractive to those working on smaller budgets. 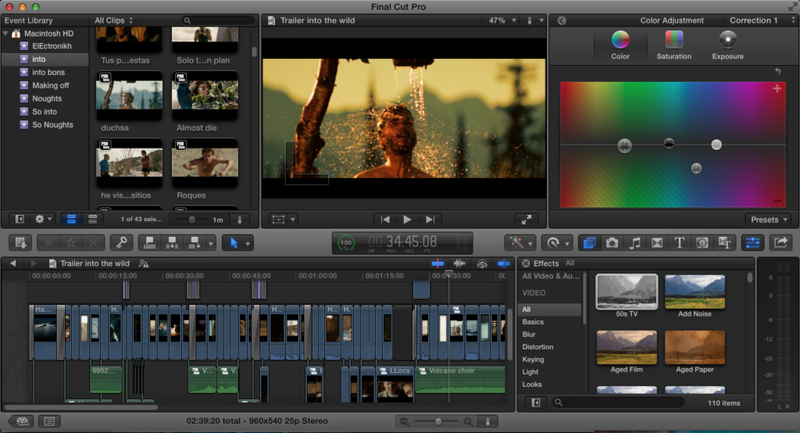 It is an Apple only product, but if that is what you’re working with Final Cut might just be right for you. Its fast, powerful, and reliable, which is probably why most people consider Avid Media Composer the industry standard among the various video editing softwares. Like Premiere, Media Composer has moved to a subscription model and has several different tiers available including the free Avid Media Composer First. While limited in scope, Media Composer First can help to give you a feel for what the full product is like before you invest your money into it. Though not as widely used as the other video editing softwares, Vegas Pro is a great option for those new to editing because it is full featured software that has built in tutorials to help you get up to speed quickly. In addition, it is available as both a one time purchase, or as a subscription based service. iMovie is perfect for those just dipping their feet into the waters of video editing for the first time. Though limited to only one video track, it is a great way to learn the basics of video editing without breaking the bank. It is also great for editing on the go as it is available for both Mac OS and iOS.